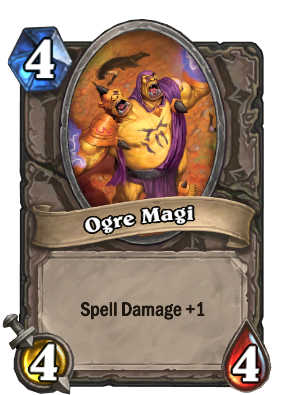 Training Ogres in the art of spellcasting is a questionable decision. A solid basic card, but spell damage is much better on smaller minions to make room for spells. Can be helpful in arena, of course.